Bitcoin Press Release: Landmark deal brings FanChain to sports bars around the world through local meetups and “watch parties”. October 10, 2018, Cayman Islands — SportsCastr, the company behind the decentralized sports ecosystem and cryptocurrency FanChain, today announced a three-year exclusive partnership with FanWide, the digital platform that helps out-of-market sports fans find local game watch parties and events. 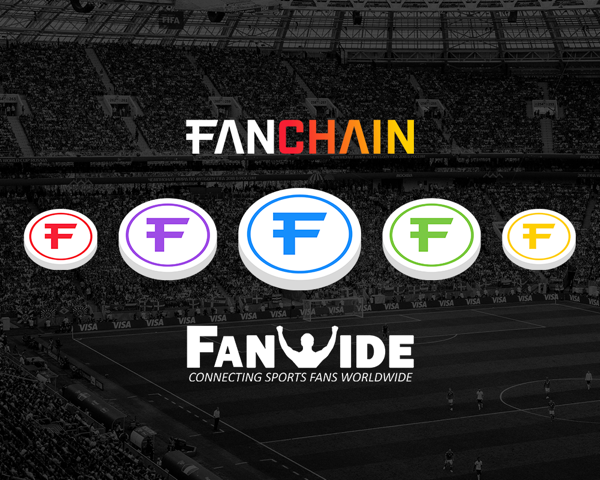 Through this agreement, FanWide will integrate SportsCastr’s FanChain token (FANZ) to provide cryptocurrency rewards to users, which can be redeemed for perks like merchandise, game tickets, and experiences within the FanWide platform. FanWide will also integrate functionality into its platform to incentivize its users to “go live” on SportsCastr from the hundreds of thousands of watch parties listed through its service. FanWide is a free website and app that connects sports fans from every team in any city through in-person meetups organized by local fan clubs, while also managing the world’s largest database of those clubs. Since launching in September 2016, FanWide has helped fans across the country connect by organizing and promoting more than 750,000 local watch parties via its platform. In addition to promoting existing in-person game watch parties, FanWide also develops new communities for over 1,250 professional, collegiate, and international teams. FanChain’s decentralized infrastructure allows its technology to be integrated with platforms like FanWide, fantasy sports providers, social networks, sports teams, leagues, and venues. Built specifically for the global sports market, the FanChain token has the ability to be “stamped” with metadata that associates it with teams, leagues or sporting events. This allows SportsCastr, FanWide and future members of the FanChain ecosystem to reward fans for creating value for their favorite teams and enables brands and organizations to target and reward their most passionate fans. SportsCastr has also recently entered into agreements with the NFL Players Association (NFLPA), the WNBA Players Association (WNBPA) and Friday Night Fights (FNF) around broadcasting and other fan engagement initiatives. SportsCastr is backed by NBA Commissioner Emeritus David Stern, NFL Tight End Vernon Davis, Syracuse Men’s Basketball Coach Jim Boeheim, NBA All-Star Steve Smith and more. This summer, the NFL Players Association (NFLPA) announced that it had acquired a minority ownership stake in the company. FanChain, developed by SportsCastr, is a token and decentralized ecosystem built specifically for the global sports market. The FanChain ecosystem includes a payment gateway, exchange platform, rewards portal, wallet and a DApp that allows third-party companies to be whitelisted to distribute and reward fans and users with FanChain tokens (“FANZ”). 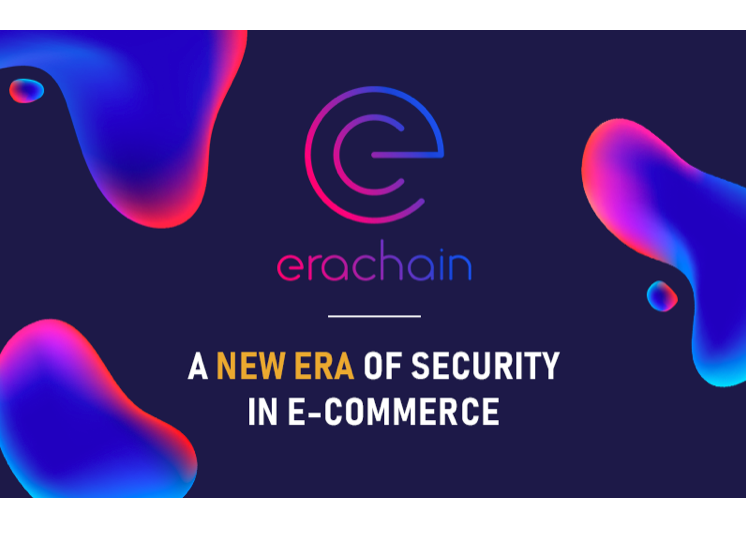 For more information, please visit www.fanchain.com. FanWide is a free website and app that helps sports fans find the closest fan club or game watch party for any team in any city while rewarding the fans for engaging with each other and sponsors. FanWide manages the world’s largest database of sports fan clubs and provides services for fan clubs and alumni associations, pro and college teams, corporate sponsors, athletes and influencers, and TV broadcasters. The post FanChain Becomes Official Cryptocurrency of FanWide, the World’s Largest Fan Club Network appeared first on Bitcoin PR Buzz. Bitcoin Press Release: Since completing private round funding in May 2018, Formosa Financial has been working hard in the development of a one-stop digital asset management platform. October 2nd, 2018. Taiwan. Committed to making available a single point of entry to custodial, brokerage and risk management services, Formosa Financial is proud to continue working towards their roadmap goals and begin announcing the first wave of committed clients this Q4 2018. 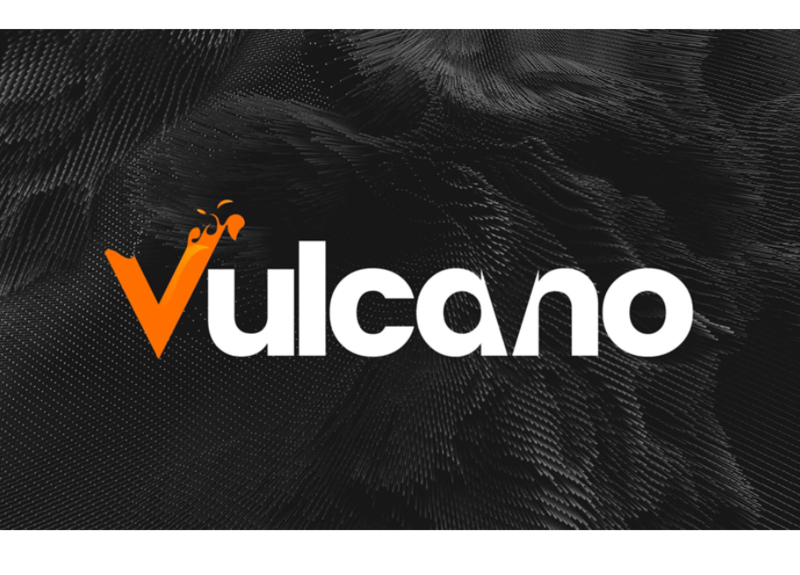 This first wave of clients to come on board have been carefully selected from their whitelist and will take part in helping to test, refine and develop the platform and services. 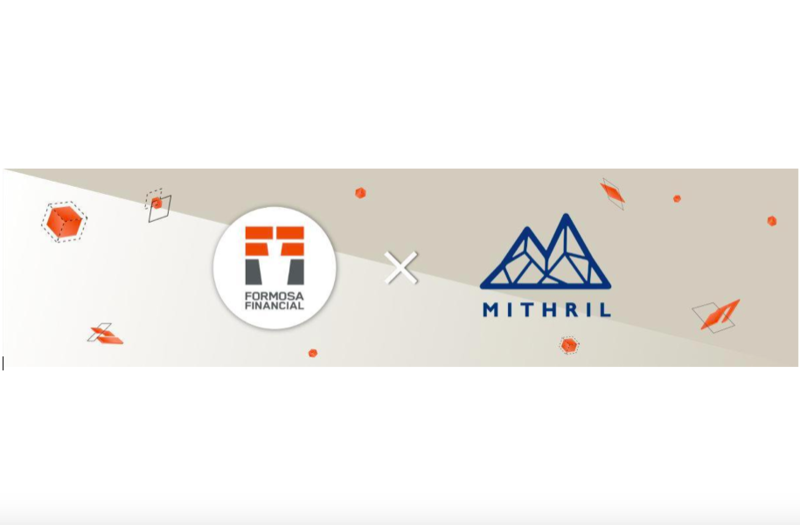 Out of all the projects and partners on Formosa Financial’s whitelist, they are honored to announce none other than Mithril as their client #1. The choice of Mithril as Formosa Financial’s first client was a clear one as we have a history of working together in the development of blockchain and the digital economy in Asia. Mithril being one of the top performing projects of 2018, continues to evolve as an industry leader. Starting with their Lit social mining app and now the release of VAULT (which will serve as a wallet for token holders to keep their MITH and other cryptocurrencies), feedback and insight from founder Jeffrey Huang and his team will be immensely valuable in the refinement of the Formosa Financial platform. Risk & Treasury Management – The partnership and integration with Compound protocol will enable clients access to a platform for interest income and borrowing channels. First phase clients will be able to have early access to certain interest bearing services to be made available on of the platform. Custodial Services – Clients will have access to institutional level custodial solutions for digital assets via the partnership with one of the leading custodial providers. In addition to clients getting a wholesale rate from the partnership, deposit/withdrawal and account management functions will be tested during private beta. Brokerage – The Formosa Financial dashboard will provide a single access point to multiple exchanges and OTC trading pools via a single point of access, minimizing the need to go through multiple KYC verifications. Once private beta is up and running, first phase clients will be the first to deposit/withdraw funds and convert into different digital assets. Headquartered in Taipei, Formosa Financial is an international team with extensive experience in blockchain, technology, and finance. Formosa Financial aims to help digital asset holders and blockchain innovators solve some of the major pain points they face by offering them a one-stop digital asset management platform. Formosa Financial is the source of this content. Virtual currency is not legal tender, is not backed by the government, and accounts and value balances are not subject to consumer protections. Cryptocurrencies and tokens are extremely volatile. There is no guarantee of a stable value, or of any value at all. Token sales are only suitable for individuals with a high risk tolerance. Only participate in a token event with what you can afford to lose. The post Formosa Financial Announces Client on Boarding Q4 2018 Mithril Client #1 appeared first on Bitcoin PR Buzz. Bitcoin Press Release: The newly launched Nebula Exchange provides an opportunity to acquire LCD before the official launch of Lucyd’s new platform. May 12th, Singapore: Lucyd, the augmented reality smartglass and app developer, is pleased to announce that its LCD token is now trading live on the Nebula Exchange. Nebula, which is also based in Singapore, opened today for the trading of ERC20 utility tokens. This provides a new opportunity to acquire the LCD token in advance of Lucyd’s platform launch, in addition the IDEX exchange and the Lykke app. Lucyd anticipates the LCD token will be used in their planned smartglass platform to enable hands free peer-to-peer transactions, including personal payments and AR content purchases, as well as to buy smart eyewear. New LCD will be mined based on user ratings of apps and media submitted to the platform, and supplying computing power to the Lucyd network. The token’s aim is to enhance community engagement and development of the platform, by decentralizing the way AR content is created, stored and sold. Lucyd is planning to launch its eyewear e-shop in late June 2018, and will be the first store worldwide to offer prescription spectacles and smartglasses for both cryptocurrency and fiat payment. Lucyd Pte Ltd is developing ergonomic smartglasses and a blockchain app store. The Lucyd platform will make it easy for anyone to create, share and experience AR content. From gaming, to sports, to navigation, Lucyd Lens smartglasses will put the apps and content you need right in front of you. It’s time to look up from your phone and see the world. To learn more, please visit https://lucyd.co or join the community on Telegram. Lucyd is the source of this content. Virtual currency is not legal tender, is not backed by the government, and accounts and value balances are not subject to consumer protections. Cryptocurrencies and tokens are extremely volatile. There is no guarantee of a stable value, or of any value at all. The information does not constitute investment advice or an offer to invest. The post Lucyd’s LCD Token Listed on Nebula Exchange appeared first on Bitcoin PR Buzz. Bitcoin Press Release: Public multi-chain project Ontology has announced a series of strategic partnerships with fellow ecosystem builders Tembusu Partners, Accomplice, Hashed, and Onchain. Apr 13th, 2018, Singapore – Public multi-chain project and a distributed trust platform Ontology has just announced plans to co-build their ecosystem with a series of partnering companies. Fello ecosystem builder Tembusu Partners, Accomplice, Hashed, and Onchain will all join the fold to pursue a Co-Builder plan to help build, govern and serve the industry ecosystem together. The group partnership will aim to explore application development, outreach, incubation, and build a new generation of public blockchain infrastructure and a distributed trust ecosystem. The purpose will be to support real business applications and scenarios. Established in 2006, Tembusu Partners is a leading private equity firm with deep roots in Emerging Asia. Headquartered in Singapore, it has a deep understanding of the Asian market and regional economy. After joining the Ontology co-builder program, Tembusu Partners and Ontology will jointly develop Southeast Asian market partners to provide government service support for the local markets. Partner and International co-builder, Accomplice, is a seed-led venture capital firm known for embracing risk. Headquartered in Boston and San Francisco, Accomplice has been part of the origin‍‍‍‍‍‍ story of many companies, including AngelList, CoinList, Carbon Black, DraftKings, Hopper, PillPack, Veracode, and Zoopla. The company has pioneered a community approach through platforms like Spearhead, BOSS, Rev, and TUGG. Through the co-building program, Ontology and Accomplice will work together to strengthen technical advocacy, as well as build and expand the influence of Ontology in the United States and Israel. Hashed is one of the most influential groups in blockchain in South Korea. The company builds communities, accelerates projects, and is a strategic partner of innovative blockchain projects around the globe. Hashed has also accelerated South Korea’s largest wallet provider, CoinManager. Moreover, Hashed operates a blockchain meetup called “Hashed Lounge” and a blockchain-related journal called the “Hashed Post”. As a member of the Ontology co-builder program, Hashed will help Ontology to strengthen its development and influence in South Korea and Northeast Asia, creating a local technical community, and holding and promoting events, forums, etc. An important technology partner in the co-builder program, Onchain is a technology company dedicated to the research, development, and operation of blockchain systems. With its accumulated blockchain technology and industry experience, the team has developed and operated several influential blockchain projects. Onchain has successfully cooperated with and provided blockchain solutions to several financial institutions, banks, and brokerage firms. At the same time, it also provides blockchain underlying technical services for public chain projects such as Ontology and Elastos. In the co-builder program, Ontology is the initiator and core technical supporter of the Ontology project. Ontology is a new high-performance public multi-chain project and a distributed trust collaboration platform. Ontology provides new high-performance public blockchains that include a series of distributed ledger and smart contract systems. Ontology blockchain framework supports public blockchain systems and is able to customize different public blockchains for different applications. Ontology supports collaboration amongst chain networks with its various protocol groups. Ontology is the source of this content. Virtual currency is not legal tender, is not backed by the government, and accounts and value balances are not subject to consumer protections. Cryptocurrencies and tokens are extremely volatile. There is no guarantee of a stable value, or of any value at all. Token sales are only suitable for individuals with a high-risk tolerance. Only participate in a token event with what you can afford to lose. This press release is for informational purposes only. The information does not constitute investment advice or an offer to invest. The Ontology vtoken sale is closed to US participants and participants of all countries in which ICOs are illegal. The post Ontology Partners with Ecosystem Co-Builders Tembusu Partners, Accomplice, Hashed and Onchain appeared first on Bitcoin PR Buzz. Bitcoin Press Release: Blockchain-based rewards and loyalty startup Bitrewards has announced new partnerships with TUI, Eventbrite and GoPro. April 11th, 2018, Singapore – BitRewards, the blockchain-based rewards and loyalty system for e-commerce businesses, is proud to announce strategic partnerships with TUI Group, Eventbrite, and GoPro. Formerly known as Thomson Holidays in the UK and TUI AG in Germany, the parent company (TUI Group), is a multinational travel conglomerate, with divisions in dozens of countries. The company control 6 airlines, 300 hotels and resorts, cruise ships, over 67,000 employees, and €18.5 billion in revenues. TUI Group has expressed interest, as a client of GIFTD, to integrate a blockchain-based loyalty and rewards scheme BitRewards on a pilot basis, to let their customers gift their family and friends with amazing discounts and bonuses on holidays in just a few clicks. The team are looking forward to working closely with TUI Group to deliver the rewards and loyalty scheme that their customers will love. Eventbrite is a global event technology platform that powers more than 3 million meetups, and events each year. It is headquartered in San Francisco and has offices in 12 countries, including Australia, Brazil, Germany, Ireland, and the Netherlands. BitRewards is ready to issue the loyalty points to the ticket buyers of Eventbrite, and there will be a deep API integration between two companies. The event market is huge — it is a 30 billion dollar industry. It is an amazing chance to shake it with a cutting-edge loyalty software. GoPro is another well-known, global brand BitRewards team is proud to announce working with. As a client of GIFTD, GoPro – which sells millions of cameras, drones and accessories around the world – is looking forward to integrating a crypto-rewards option into its loyalty scheme. GIFTD motivational marketing and rewards platform has been generating results for GoPro for a while now, making this a smart fit for them as they continue to enhance the online customer experience. Working with GoPro, BitRewards will be testing AI Recommendations system to ensure consumers and brands benefit from the recommendations the system generates. Test results and feedback will further shape how this service will be enhanced and improved. BitRewards is the source of this content. Virtual currency is not legal tender, is not backed by the government, and accounts and value balances are not subject to consumer protections. Cryptocurrencies and tokens are extremely volatile. There is no guarantee of a stable value, or of any value at all. Token sales are only suitable for individuals with a high risk tolerance. Only participate in a token event with what you can afford to lose.This press release is for informational purposes only. The information does not constitute investment advice or an offer to invest. The post BitRewards Announces Partnerships With TUI, Eventbrite and GoPro appeared first on Bitcoin PR Buzz. Bitcoin Press Release: Orocrypt, has announced the launch of its OCG gold backed tokens. OCG tokens are built on the Ethereum protocol, and are compatible with all Ethereum wallets. 11 April, 2018, Panama – Ethereum blockchain-based company Orocrypt OCG tokens are 100% backed by gold bullion and each represents ownership of 30 grams of fine gold. Orocrypt will charge a 1% commission fee over gold spot price on the sale of one token or more. There is also a 0.04% transfer fee when the tokens are transferred between wallets. The commissions for purchases involving less than one OCG token range between 5% ( for 0.9 to 0.5 tokens) and 10% (for purchase between 0.1 and 0.5 tokens). Orocrypt is the source of this content. Virtual currency is not legal tender, is not backed by the government, and accounts and value balances are not subject to consumer protections. Cryptocurrencies and tokens are extremely volatile. There is no guarantee of a stable value, or of any value at all. This press release is for informational purposes only. The information does not constitute investment advice or an offer to invest. The post Orocrypt Offers Digitized Precious Metals on Ethereum Blockchain appeared first on Bitcoin PR Buzz. Bitcoin Press Release: Skycoin, the third-generation cryptocurrency of alternative P2P project Skywire, have announced they will be signing a strategic partnership with Bitcoin PR Buzz. January 12th, 2018 – To those who follow us, you will know we have used BPRB (Bitcoin PR Buzz) multiple times in the last year. As we move into 2018, we are very excited to make this an official partnership, paving the way forward for both parties. Skycoin, is amongst one of the oldest crypto projects in development, and has its infrastructure rooted in the basic concepts of bitcoin. What makes skycoin unique, is its completely original codebase featuring a state of the art, and revolutionary consensus algorithm. Skycoins algorithm, named “Obelisk”, contains none of the PoW/Pos similarities of most other altcoins, thereby eliminating the need for miners and operating on a basis of trust. This partnership provides Skycoin the advantage of our name, news and distribution channels, allowing announcements in innovation to be distributed more frequently, and to a larger audience. BPRB’s partnership with Skycoin will allow for the nurturing and growth of Skycoins web presence in mainstream media outlets as well as technological circles. With Skycoin’s announcements, road map and recent partnership with BPRB, the future looks bright for Skycoin this year. The post SkyCoin Signs Partnership with Bitcoin PR Buzz Agency appeared first on Bitcoin PR Buzz.